Spring has sprung and BikeExchange wants to celebrate the coming of warmer days with an April Sweepstakes! To ensure you're ready to spend the longer and warmer days riding, we've partnered with some fan-favorites within the industry, including Ortlieb, Brompton, Selle SMP, and others! This competition runs from April 1st, 2019 to April 30th, 2019 so be sure to click below for the change to win one or many prizes! Interested in what prizes you can win? Scroll down to learn more! As City National Bank’s guest, you will have Alta Classe access which offers distinct benefits including an exclusive team jersey, premier starting line placement, complimentary food and beverages, and post ride massages. For more than 30 years, ORTLIEB has been providing momentum in the bike and outdoor market and has set standards in the field of high functional equipment. The target has always remained the same: individuals who actively spend their leisure time in nature should feel independent from all facts they cannot influence, in other words: from the weather. Elite performance has a new name - Equinox. The perfect balance of implicity and technology makes these kits vanish from the riders mind, allowing them to focus on the moment. The Equinox removes seams and adds upgraded flex bands for a dynamic change in fit and aerodynamics. Nalini is located in the town of Castel d'Ario, Italy, a few miles south of the historic city of Verona. Founded by two brothers, Vincenzo and Claudio Mantovani, whose expertise, passion, and dedication in creating the most technical cycling apparel for top professional cyclists are the driving forces behind Nalini's success. Today, Nalini is considered the largest cycling apparel manufacturer in Italy. Selle SMP revolutionized the bicycle saddle concept, becoming an icon for technology and innovation. Today, it sells its products in over 65 countries and is the world leading producer of high range ergonomic saddles. SMP's ergonomic saddles achieve the highest performance with the greatest health benefits and comfort. 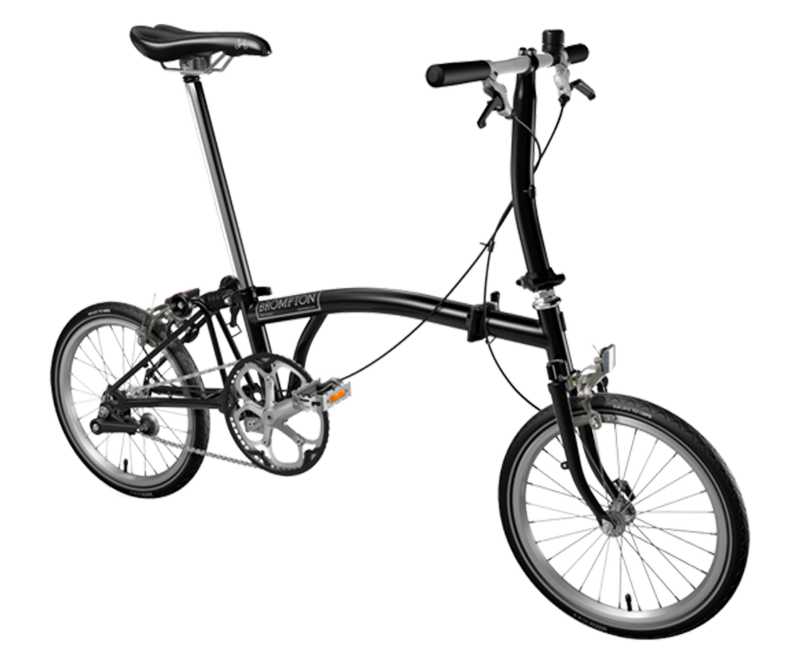 Let a Brompton folding bike take you anywhere - its flexibility allows you to get more out of the city, day and night. Free yourself from the confines of other forms of transport and take in the city around you. Need a change of scene? Just pop a Brompton on a plane, train or in the car to explore further afield.